The 65 x 55 shrink wrap band fits this container. Holds approximately 6 ounces (3/4 cup) of medium grain bath salts. COMMENTS: I love these tubes for Herbal Bath Salts! Like Really Love them. They are y’all and skinny and look adorable yet “trendy” I’m not a trendy person ?? So this helps with product display. The Only thing I would like to see changed or added is different color and style of tops. Cork tops would be Amazingly Beautiful! COMMENTS: These tubes are the perfect size for my bath teas and salts. With the label, they look very professional. The cap is difficult to get off, but other than that, I really like them. COMMENTS: Perfect tube for my bath salts and milk baths. Easy to use and presented well. I also purchased the labels which gave a complete professional look. COMMENTS: I love these tubes for bath salts...they offer someone to be able to purchase a small amount if they are unsure of a fragrance. I made them last Christmas using peppermint stick f/o and alternated red/white bath salts top with a red bow and they were a hit as a stocking stuffer idea. Only thing I find is I can't get 6oz but closer to 3oz of salts filled to the top in a tube. (?) Will keep getting them either way, they are a neat addition and look great on display. COMMENTS: These are a great size and not flimsy. Perfect for bath salts and fizzy powder. COMMENTS: These tubes will work for multiple products. It is worth the money. COMMENTS: I love these bath salt tubes! They are the perfect size for my spa gift baskets!! COMMENTS: These are perfect for bath salts! They are easy to fill and make bath soaks look so appealing! "Works great for all my bath salt creations"
COMMENTS: Keeps the product affordable since its plastic. Comes with cover. COMMENTS: I had several request for bath salts. These tubes make it very easy to package and they look very nice on my display when lined up in their different colors. They are very eye catching and professional. My labels adhere very nicely. COMMENTS: I like to use it for my Bath salts, really shows the beauty of the product. I will planning on purchasing again. COMMENTS: these tubes are versatile and easy to use and close. it makes your product look professional and shows off the beauty of your product. will buy again.
" 1.5 x 6" Clear PETG Tube with White Cap"
COMMENTS: Great packaging for bath salts. COMMENTS: Has great pourpose, they aren't as hard plastic of plastic as expected. "Good packaging for so many uses!!!" COMMENTS: I ordered these and some new small bath bomb molds that fit perfectly!! A sell out item!!! COMMENTS: I thought these were gonna be much smaller, but they are a very nice size and great for what I purchased them for. COMMENTS: Perfect for bath salts included in gift sets. COMMENTS: Sturdy and holds a good amount of salt. COMMENTS: I have used this for my bath teas and getting ready to package bath salts in my next batch. This container is a really convenient and attractive way to present your product. 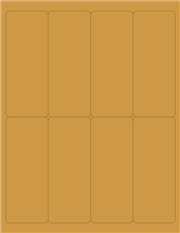 It is also extremely economical, because it comes as a set so it is easier to figure your pricing. I will be ordering these on a regular basis in the future. COMMENTS: This product is almost exactly what I want. Love the look and the style, but I wish it were a touch larger. Packaging bath salts and 6oz is not quite enough for 2 baths. I like to be heavy handed with my bath salts and wish this item held more so the customer could have at least 2 really nice baths from the contents. COMMENTS: This is perfect for bath salts, it doesn't take up a lot of space since it is slender but it is tall. I like that there is only one end that opens and that the bottom is sealed shut so there isn't a worry of it popping open. It makes it easy to pour the salts out into the bath. It is also perfectly sized for the labels I had bought, and I Love that there is shrink wrap with the perforated tab that will fit it to make sure it is tamper proof. COMMENTS: These tubes are great! I use them for bath salts. They are perfectly clear and the tops fit very tightly so nothing spills out. They stack on their sides very well. I put them in a tray on the corner of my booth in a festival and they sold very fast. The colors all showed through very well and made a very colorful display. I have already ordered more! COMMENTS: I was expecting them to be a lot smaller, so I was pleasantly surprised with the size! Overall they are great. I would like to see them with a different lid maybe. If you push the lid all the way down, some of them stuck. Definitely will buy them for future uses! "Ordered a set..my misunderstanding "
COMMENTS: Perfect size for what I'm adding. I misunderstood "set" to be two. However one was great as a test and it passed flying colors. COMMENTS: I put my round wax tarts in these. Perfect fit and a different look. 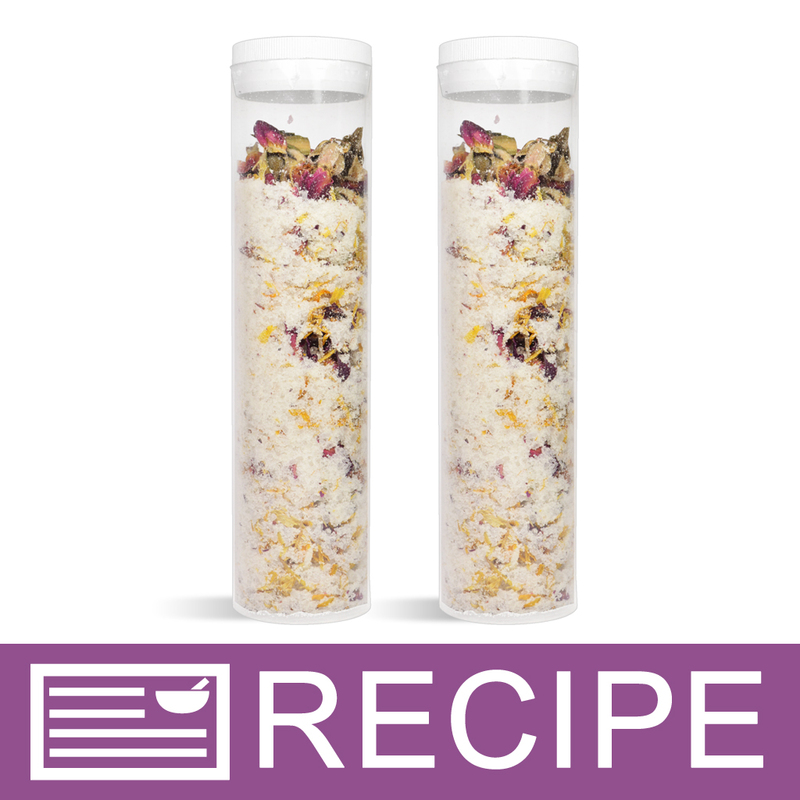 "Botanicals and bath salts "
COMMENTS: This product is beautiful and unique,absolutely a perfect container to present a handcrafted blend in a bath tub botanical mix or bath melts or bath fizzles! COMMENTS: The plastic cracked on the tops the first time I used them! I bought like 48 since I wanted to sell bath salts in my shop.... But I don't want to sell product in these tubes. A customer could get a plastic shard in their bath! The cap seems too big for the tube. I didn't put the cap on forcefully, I was actually quite careful with it. But 12/13 cracked at the top. COMMENTS: Used these tubes with coarse grain salts. The clear plastic tubes make the salts look attractive and high end. I used the suggested 65 x 55 shrink wrap which I think adds a polished touch. COMMENTS: The size of these tubes hold a substantial amount of salt. They are simple to fill and seal. These tubes are super easy to transport and you can fit dozens into a tote. COMMENTS: These really stand out with colored bath salts. Excellent Quality, and look nice with a clear label. COMMENTS: I started putting my tub tea into the tubs rather than tea bag and they have sold like crazy. I love these tubes. COMMENTS: Larger than it looks, it's the perfect size for my bath salts! Ample space for product labeling as well. Looks very professional and eye catching. COMMENTS: I use this bottle for my Bath tea's and its the perfect size and shape that I was looking for to really step up my product presentation! COMMENTS: I use this container for my bath salts. I really like the way that it is displayed. The only drawback is when you put the cap on sometimes I can crack the plastic. COMMENTS: was afraid to order these - wasn't sure of size or quality - we've all received something in a cheap tube. These are not the cheap tubes - they're great, sturdy enough for plenty of handling and hold my bath teas and other products with no problems. Customers seem to enjoy how they look full of scrubs or teas w/ botanicals, wrapped in ribbon with a tea bag, muslin bag attached. 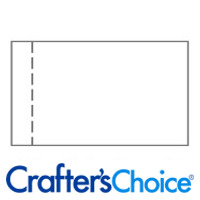 They sell well - give a great presentation and are a good bang for the buck. So glad I found and purchased these. I've had no issues with them. I do seal the tops on with shrink wrap bands purchased here. The tops stay on well but with traveling to shows, customers handling them, etc. the shrink band insures containment. Will be buying more of these. "1.5 x 6" Clear PETG Tube with White Cap"
COMMENTS: This is the perfect size to show off bath salts. Not too big or too small. Enough for 2 baths. Sturdy, clean look. COMMENTS: These are the perfect containers for bath salts. They look great and work just perfect. I've tried packaging my bath salts in a plastic bag but it just didnt look very nice. These tubes look professional and I can place a nice label on them. I put about 6 or so ounces in them. "1.5X6 clear pet tube with white cap "
COMMENTS: These surprised me when they came. They were much bigger than I had anticipated which is a good thing. I have been looking for something I could put a fair amount of product (bath salts) in. However I must have gotten part of a bad batch. The plastic on some of them was wavy looking and not clear to see threw. Once they were filled I didn't notice it as much, but I am trying to sell a product so hope my customers don't notice it. I also received 1 tube that was sealed at both ends making it impossible to fill or use. COMMENTS: Nice quality. Will order again. COMMENTS: I use these for my bath salt samples, and milk bath. I like the clear tube because the customers can actually see the product. COMMENTS: These are a nice size and a nice price point for bath salts. I have not had any problems with crushing during shipping; which was a fear when I ordered them. I've ordered twice and no problems. I will be ordering more and larger quantities. COMMENTS: These tubes were exactly what I was looking for, and worked perfectly! 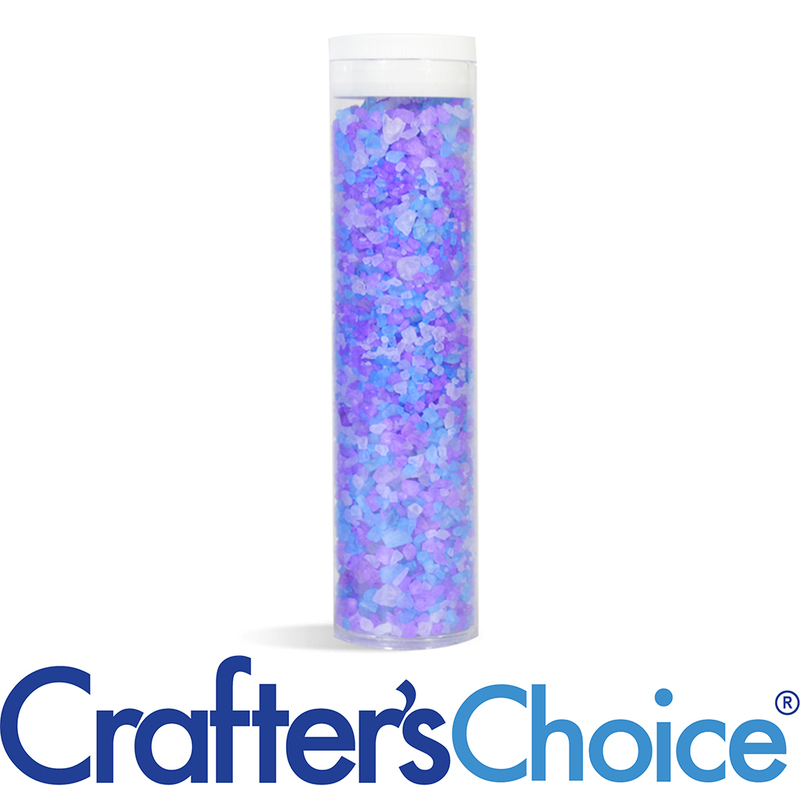 Holds a nice generous amount of bath salts, and the lids fit nice and tight, no spilling! COMMENTS: These tubes are perfect for packaging my bath salts. The lids fit nice and tight and the price is great. I will continue to buy! "Great packaging for Bath Salts"
COMMENTS: These are nice, sturdy tubes. I use them for packaging bath salts for Christmas, holiday sales and presents. I have heard of other tubes being flimsy, these are not. Plan on putting cute tape around each end to secure just in case and be decorative. "Clear PETG Tube w/White Cap"
COMMENTS: This does work great for bath salts. However, I did find that would only hold 5oz of product instead of 6oz. They might have held 6oz if I had filled them completely to the top, but I would not have been able to put the cap on them. That was just an observation. COMMENTS: Just perfect for bath salts and for "scent" sampling. "Not as great as I though it would be "
CC Response: We are sorry to hear about the trouble that you had with this product. Before packaging bath salts, we recommend that you let your bath salts sit out on a lined baking sheet up to overnight so that the salts can absorb the oils and less leakage would occur. The excess oils would also deteriorate the plastic container and cause it to become easily damaged. We hope that this suggestion helps. COMMENTS: Perfect size for my bath salts. Love them! "Perfect tubes for Bath Salts!" COMMENTS: We use a lot of these Clear Tubes for Bath Salts and Foot Soak Salts. It's a perfect size! 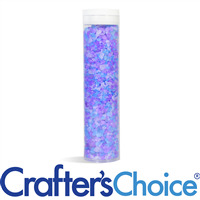 COMMENTS: I had bought one of these tubes to see I it was something I wanted to start using for my bath salts. I layered in my bath salts (white and a color) and liked it so well that I will use these tubes exclusively for my salts. I have had no issues with "blow outs" and can fit 6 oz of my med size salts in there perfectly. I love the fact that you can see the salts in the tube, and they are extremely easy to fill (I use a spoon). When my salts are all lined up together they look like tiger stripes, and ate amazingly beautiful. I will definately continue to use these for my bath salts. COMMENTS: Used in bath salts. No problem with "blow-outs". Caps fit snugly. Used the shrink wraps to seal them. Be CAREFUL when shrink wrap sealing - they will warp! COMMENTS: Great for holding bath salts. Lid fits tight so no spills. No complaints. "I'll be using these for bath fizzies and my customers are people that might have arthritic hands. Are the plugs hard to open?" Staff Answer They are not difficult to open but they can sometimes be tricky to remove the cap. Once the tubes have been emptied a bit, it makes it easier. 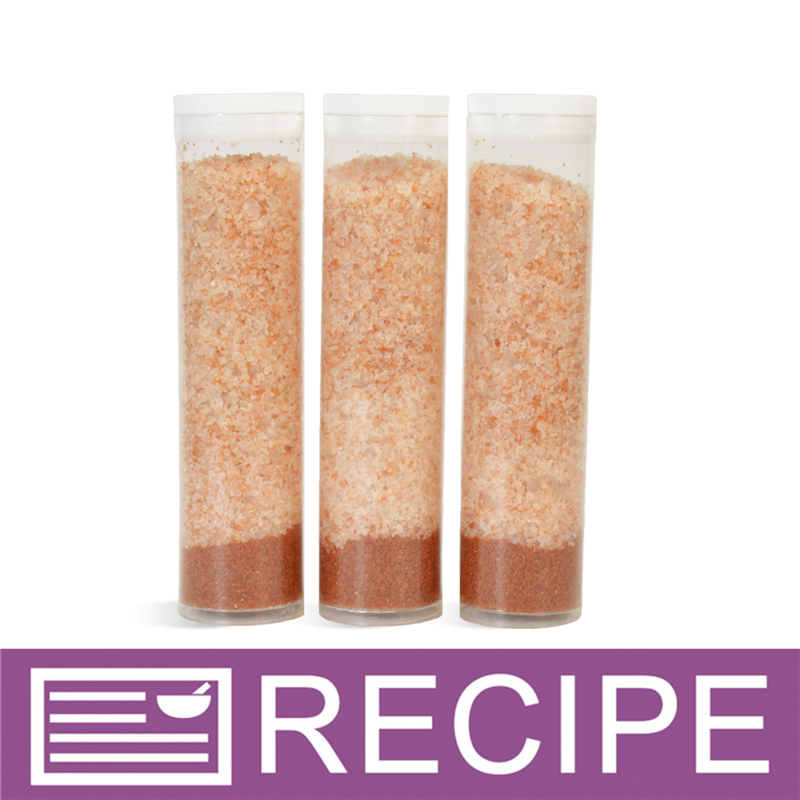 "I've been using these tubes for a few years and still for the life of me can't get 6oz of salts in them...what's the secret? The description says 6oz but I seem to only get around 3-3.5oz...I use a mixed blend grain of salts, does the 6oz only refer to using fine grain salts? if so it should state that. Love these tubes regardless, just wondering." "Are these tube's recyclable? " Staff Answer They do not have a recycle symbol on the bottom. You may want to check with your local recycling center to see if they accept PETG plastic. "How many tubes are in a "set"?" Staff Answer A set includes one tube and one cap. "What are the tolerances for essential oils and fragrance oils." Staff Answer We do not have specific information on the maximum fragrance load for these tubes. We do not recommend fragrancing over 2% as it may compromise the plastic. "Is the plastic sturdy or flimsy?" Staff Answer The 1.5 x 6" Clear PETG tube with white Cap is made with the PETG plastic, which is a flexible plastic. 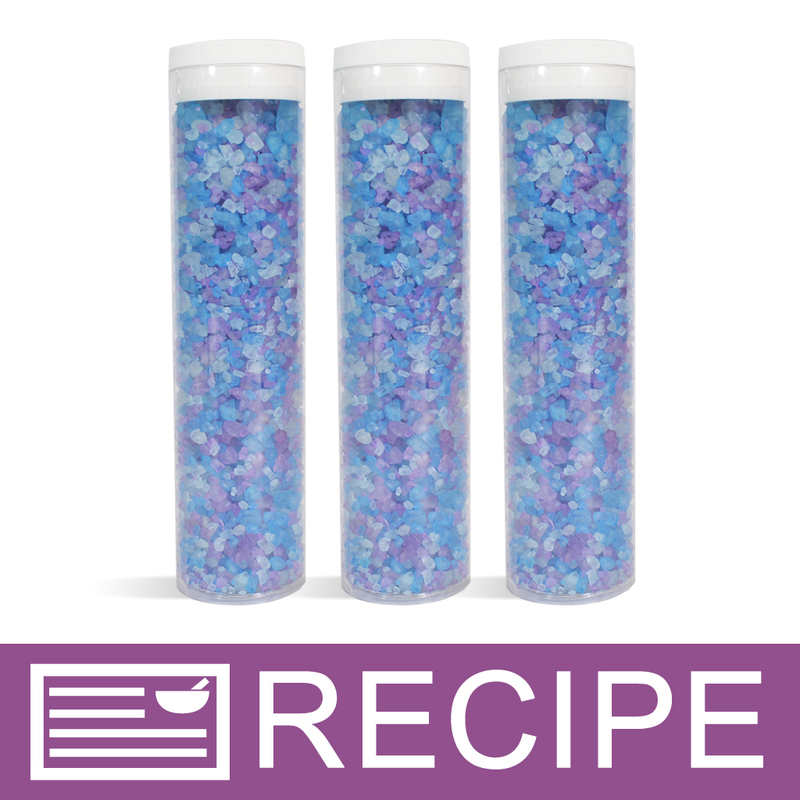 Many customers use the tubes for bath salts and bath fizzies. "I can't tell from the photo, but does the cap fit outside of the tube or go inside of the tube?" Staff Answer The cap does go into the inside of the tube. "can this container be used for food grade edible salts?" Staff Answer Yes they can. These containers should be sterilized if you are going to put food in them. Also, all containers should be tested to be sure they are compatible with your product.